Back in 1970's early 80's my father knew dave christensen and he created these glass artwork pieces. they say jackpot on them because that was the name of the company my father started. Dave also designed the business card that we still use today, the roll top slot machine that appears on the left. pictured below are 2 examples of these images. I have the original images in my possession that are on round thick mirrored glass. 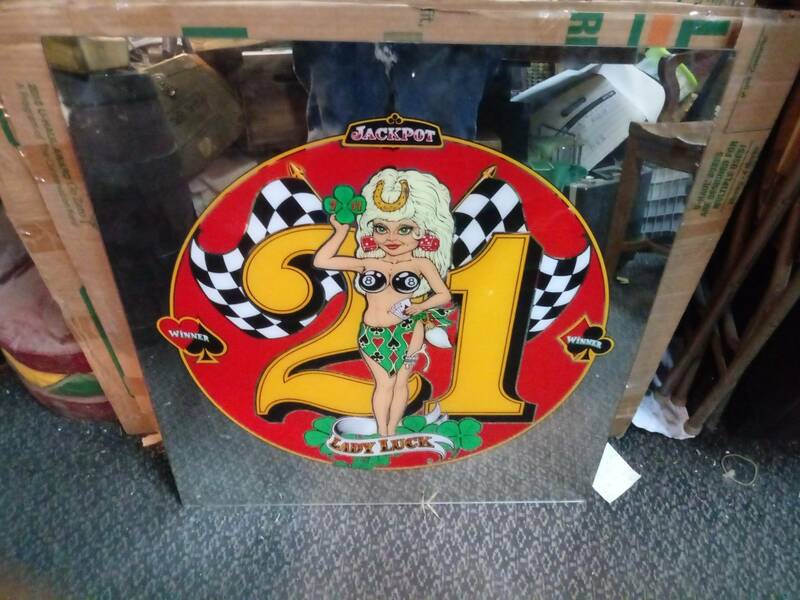 but these 2 pictured below are on a stock pinball glass that is also used as a functioning translight to be put into a pinball backglass. Anyone have any info on these?? worth, price, rarity or information. 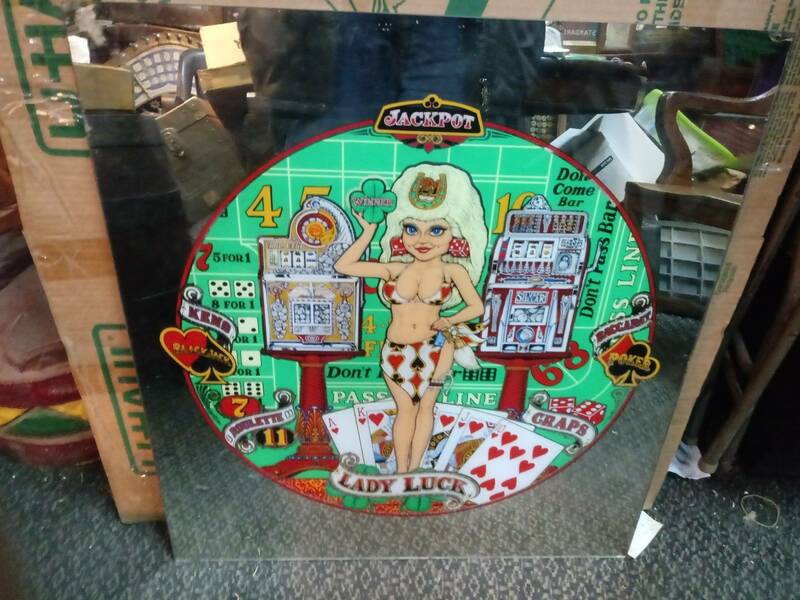 i know he also produced several naked lady glasses, which i also have 1 original of. my father recently passed away and i am going through his collection as these were part of it. I would be looking to sell these 2 because i have the originals in my possession. Don’t even have guess on price but they are interesting! I would be interested in the slot machine themed one!